President Trump has a major deadline for the Iran nuclear agreement looming just 10 days away. What could happen if the president decides to withdraw? Judy Woodruff discusses potential consequences with former Energy Secretary Ernest Moniz, a key member of the American negotiating team that struck the deal, plus a response to charges laid out by Prime Minister Benjamin Netanyahu. Judy Woodruff: Another deadline looms for the president, this one on May 12. He must decide whether to continue waiving sanctions that had been imposed on Iran, but were lifted as part of the 2015 nuclear deal. If they are put back in place, that would be a violation of the Obama administration era agreement which froze Iran’s nuclear program. On Monday, one of the deal’s harshest critics, Israel’s Prime Minister Benjamin Netanyahu, alleged that documents stolen by Israel from Tehran show that Iran retains the blueprints for restarting its program. So where do we stand 10 days from the deadline? For some answers, we turn to former U.S. Secretary of Energy Ernest Moniz. He was a key member of the American negotiating team that struck that deal. He is now CEO of the nonprofit Nuclear Threat Initiative. Ernest Moniz, welcome to the program. Judy Woodruff: So, you heard, you’re very familiar with what the Israeli Prime Minister, Benjamin Netanyahu, had to say, how he described all these documents, these computer disks that were taken from Iran. What do you make of all that? Ernest Moniz: Well, first of all, of course, we all knew that Iran had a weapons program. Our intelligence agencies declared that in 2007. The IAEA, the international inspectors, said they had a structured program. So there was no deception here, in the sense of their having a program. Judy Woodruff: Which is the agreement. Ernest Moniz: The agreement puts in place the process to do that. So, indeed, in my view, the prime minister’s presentation provides more reason why we need, in fact, to stay in the Iran agreement. Judy Woodruff: So when the prime minister says this is just proof that the Iranians are going to be able to make a bomb once this deal expires, is he not accurate about that? 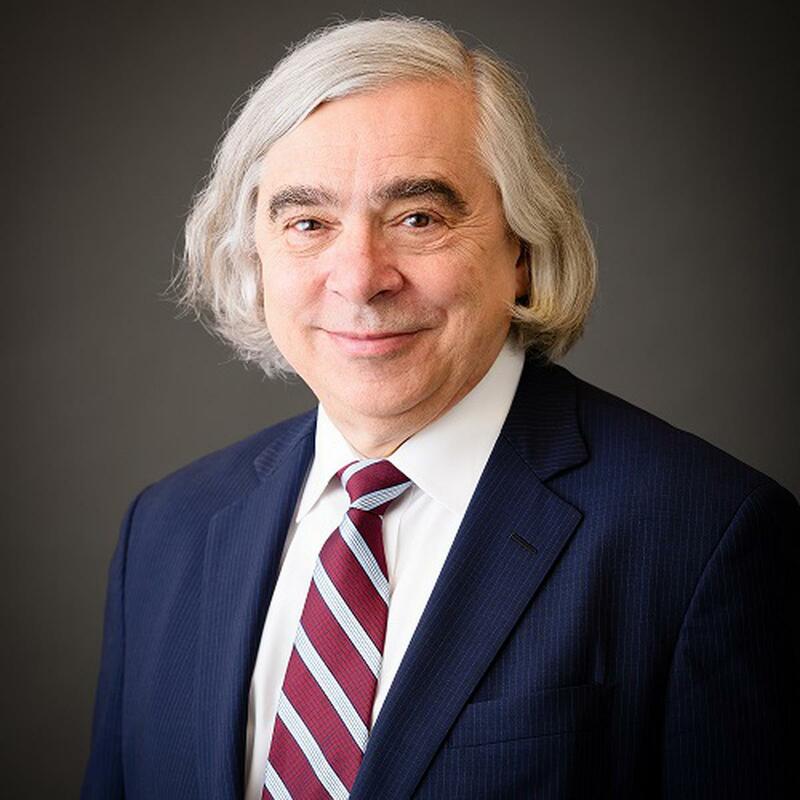 Ernest Moniz: No, he is not, for a couple of reasons. First of all, you don’t make bombs with papers and C.D.s. You make them with nuclear material. And the agreement didn’t, I might just say, didn’t just freeze the Iranian program, it rolled it back dramatically, to the point where, even if they went full out, no subterfuge whatsoever, it would take them at least a year just to assemble the nuclear material for a bomb. That’s the first point. The second point may be even more consequential. After — 15 years after the agreement, restrictions on Iran’s peaceful nuclear activities go away, but we are not back to where we are before. Now we have the world’s most intrusive verification regime, and that’s really central. If you think about it, if Iran wanted a nuclear weapon, they’re not going to do it in the open. They’re going to do it covertly. The agreement is what gives the international inspectors the tools to go anywhere in Iran and have access. Judy Woodruff: And that’s — and I wanted to ask you about this so-called sunset clause, which is what happens after the deal expires, in effect, because the argument is by the critics that all bets are off and Iran can go right back to doing what it was doing before. Your point is that they won’t be able to do this. Ernest Moniz: Correct. There is no sunset in the agreement. What does phase out in various steps, 10 years, 15 years, 20, 25 years, are various specific elements of what they can do. But what remains in place forever is their — first of all, their commitment to not have a nuclear weapon, secondly, their forswearing weaponization activities. But, most important, they must follow something called the additional protocol. Basically, what that means is, the international inspectors can go to undeclared nuclear sites. And, uniquely, Iran must provide access in a fixed time period. Judy Woodruff: Let me cite a comment that has been made in the last day or so by the former deputy head of the International Atomic Energy Agency. You know him very well, the IAEA. His name is Ollie Heinonen. I think that’s correct. Judy Woodruff: He says some of the images the Israelis have show pieces of equipment directly related to nuclear weapons work that had not been previously disclosed. Is that your understanding? Ernest Moniz: So, actually, the same gentleman also said, upon seeing the presentation, that he just saw a lot of pictures that he had seen before. So, again, as I said, the full cache of information may certainly contain information on individuals, on equipment, on places that maybe we didn’t know about before. But, again, we knew they had a weapons program, number one. Number two, we need to run all of those elements he refers to into the ground. Iran is — frankly, is in a tough spot. They have got to explain all of this, and that’s why we need the process that the agreement put in place with the IAEA, with something called the Joint Commission of the Negotiating Countries, and, ultimately, the U.N. Security Council. Well, another point that Ollie Heinonen is making, he said, what you’re looking at here, he said, this is much more extensive than what was known before. He said now it’s clear that Iran has new locations that the IAEA definitely has not visited before. And he’s going to on to say, a country party to this Nuclear Non-Proliferation Treaty should maintain all this because it violates the spirit of the treaty. In other words, he’s saying there are just some very troubling pieces of information that come from what the Israelis turned up. Ernest Moniz: Again, I think the Iranians have to be put on the spot to explain why these archives were maintained after they, in the agreement and the supreme leader said, we will never have a nuclear weapon. Judy Woodruff: What will the consequences be if President Trump goes ahead and the U.S. is withdrawing from that nuclear deal? Ernest Moniz: I think it would be, frankly, tragic for a couple of reasons. One, it will take away the process that we need right now, in fact, to explore these — the information in the Israeli information. Two, it will drive a wedge between the United States and our allies in Europe. And it will be very, very messy, because, on the one hand the European governments, U.K., France, Germany, have all made it clear, while Iran is in compliance, we should be working with them to keep them in compliance. Judy Woodruff: These are private companies doing business in Iran. Ernest Moniz: Private companies doing business in Iran, exactly. Judy Woodruff: So I’m asking you, because we just saw in Washington last week President Macron of France, Chancellor Merkel of Germany were here both talking to the president. It seems that they are — it’s been reported they are working on some sort of fallback plan if the U.S. does pull out. So that’s a possibility. Ernest Moniz: I think the president put forward a bunch of desires in terms of the European actions with the United States. Most of them, the Europeans, I think, are quite prepared to go with us on. And, very importantly — and I think it was shown in the joint strikes in Syria with the U.K. and France, that they want to work with us in pushing back on Iran. But they don’t want to violate the agreement. Judy Woodruff: Very, very quickly, totally different subject — similar subject, but a different part of the world, North Korea. You follow these nuclear developments around the world. Is it your — do you believe that the North Koreans may be ready to denuclearize, as they are suggesting to some negotiators? Ernest Moniz: They may. They have made statements about having the deterrent complete and now focusing on the economy. I think we have to play it out. But it’s the same as Iran. Don’t trust and verify, verify, verify. And for North Korea, that will be, I might say, even a greater challenge, the verification, than it is with Iran. Judy Woodruff: Ernest Moniz, former U.S. Secretary of Energy, thank you very much. NTI Co-Chair and CEO Ernest Moniz discussed the Iran Deal on PBS' NewsHour.